Migraine Monologues: Leeches to be used for Migraine Treatment? The Daily Mail has done it again. "contains a large number of analgesic, anaesthetic, and blood-thinning compounds that tackle pain and inflammation, say researchers"
So maybe it's not so crazy after all. I know I'll do anything to get rid of my migraines; actually I thought I had tried everything from a hands on healer to Botox but clearly I've missed out! Miss Parker Bowles had 4 leeches put on her head, for a total 40 minutes. The description in the article is quite graphic, it's not for the faint hearted. Apparently, a total of 3 treatments is suggested for maximum effect. Since her first round she hasn't had a migraine and has felt great! I'd love to know how long ago this actually was - i.e 2 weeks, or 2 months? I'm also curious why it's said to help migraines. If a form of paralysis is induced by the leeches, could it, perhaps (I'm completely guessing here) be a natural, mini form of Botox... somehow? If anyone has any experience (or medical knowledge of this) do get in touch. 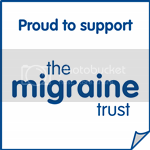 Don't forget on Monday 10th June we'll be 'meeting' for Migraine Monologue Book Club! It's not too late to join in and grab a copy of the book. June 2013, Migraine and Headache Awareness Month (USA), is dedicated to Unmasking the Mystery of Chronic Headache Disorders. 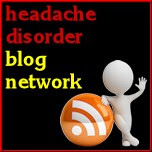 The 2013 Migraine and Headache Awareness Month Blog Challenge is a project of FightingHeadacheDisorders.com.